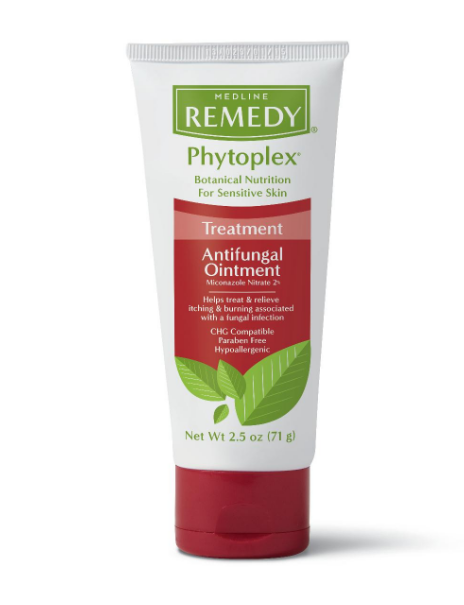 Remedy Phytoplex Antifungal Ointment by Medline is an effective topical treatment for common fungal infections. It helps to relieve itching, cracking, scaling, and other discomfort associated with the most common superficial fungal infections. The active ingredient miconazole nitrate in the antifungal ointment with the petrolatum base formula and carboxymethyl cellulose (CMC) helps the ointment adhere to wet or damp skin. This antifungal ointment creates a clear shield for easy monitoring. 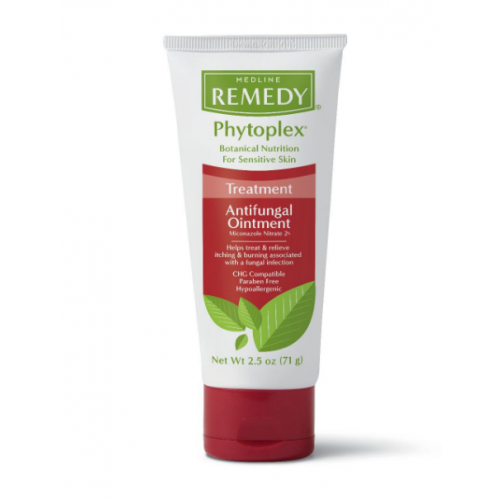 The ointment is also enhanced with Phytoplex and other botanicals. This antifungal ointment can be used in the treatment of athlete's foot, jock itch and ringworm. It can also be used to treat superficial skin infections caused by yeast. The ointment relieves itching, scaling, cracking, burning, redness, soreness, irritation, discomfort and chafing associated with jock itch. 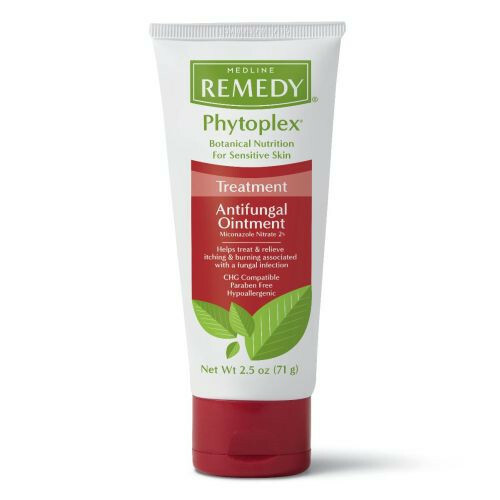 Phytoplex Antifungal Ointment by Remedy is ideal for use on children over 2 to geriatrics; it is not for use on children under 2, or on the scalp or nails. The unscented ointment is latex free, hypoallergenic, non-irritating, non-sensitizing, and pediatrician and dermatologist tested. Available in 2.5 oz tubes and 4 g packets (71 ml and 4 ml respectively). Best product i have found to help my elderly friend heal the beginning of bed sores and keep them from coming back! Fantastic product, always gets the job done! Phytoplex Antifungal Ointment works pretty good on my jock icth. When it flares up, I use this and its gone in about 2 to 3 days.